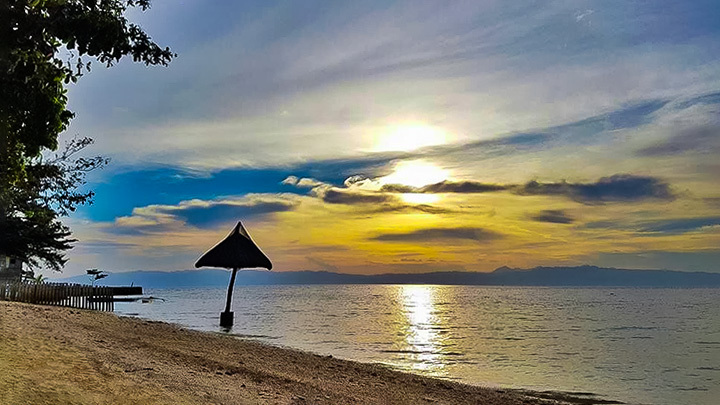 The beaches are a beautiful place to discover the Philippines. Panda Travel ® can help you discover the Philippines. Whether you like its cities or interested in its rural charms, the Philippines is the best kept secret of Pacific. And it may be just the perfect holiday destination for you. People know the Philippines for its idyllic beaches. However, beyond vibrant coastlines and varied landscapes, there is more to the Philippines than meets the eye. Friendly inhabitants, inexpensive traveling, constant festivals and delicious foods, make the Philippines a high value vacation spot. Renowned for their friendliness, one rarely meets a Filipino person without a warm smile. Filipinos exude kindness and they like to show genuine politeness. Most Filipinos are Christians and are a devout and humble people. They show reverence to their God and respect toward others. They do not solicit anyone for money or badger visitors into purchasing their wares. Scamming or hustling rarely occur. Services provided by taxis and others are conducted honestly way more often than not. Another bonus is virtually everyone in the Philippines speaks English. English is the language taught in schools. As such, the literacy level of locals is very high. Because of this, you shouldn’t have problems communicating. So for vacationers wanting insight on the best nearby restaurant, asking a local will likely get you a clear and friendly response. The Philippines is the second largest archipelago in the world. It consists of nearly 7,000 islands, making for ample shore space. These picturesque beaches are rarely crowded. And some stretches of shoreline extends for miles, with many others having private coves and inlets to explore. The sea-side colors are dynamic. Here, you can see everything from blinding white beaches to luxuriant blue waves surrounded by dark rock formations. The Philippines has prime places for shopping in the cities or in village markets. The city of Manila is home to 5 of the world’s 20 largest shopping malls. These expansive structures offer free WiFi and reasonable prices on both local and foreign brands. So shopaholics here will find good deals on designer brands, local crafts and souvenirs. Another benefit to visiting the Philippines is that a night on the town will not be expensive. For example, theater tickets cost about US$3 to US$7 per person. Entry prices into nightclubs are much lower than other Asian countries. Many Americans feel the Philippines offer some of the best entertainment value in the world. Whether it is a taxi ride costing a couple of dollars, a delicious meal for two under $10 or a even renting a studio apartment between US$15 to US$20 a day, you can afford to have a marvelous time for a fraction of the cost. The numerous festivals and events draw many tourists. Whether for religious feasts or cultural celebrations, there are always entertaining events happening in the Philippines. Some events highlight the natural resources of the land. Examples include a bamboo plant festival, which takes place in Las Pinas, or flower-blossom events held across multiple times a year. Both history and religious heritage are important to Filipinos. As a result, there are many faith-based festivals honoring Catholic holidays and saints, such as the Sinulog Festival of Cebu City. This festival is nine days long, commemorating many Filipinos’ transition from pagan beliefs to Catholicism. At Christmastime, there is an enormous lantern making and lighting festival in San Fernando. Whatever the reason for festivities, these events provide a lively and insightful glimpse into the hearts of Filipinos. One of the most engaging aspects of the Philippines is its unparalleled natural beauty. Its terrain varies from mountains to lakes, caves, beaches, rice farm terraces and even volcanoes. Agri-tourism is on the rise. In the Ifugao province, the Banaue rice terraces adorn the hills with shelf-like ledges. Here, visitors can witness how rice has been irrigated and cultivated in the Philippines for centuries. Nature lovers will have endless exploration options, whether they trek across the land or head out to sea. Hikers can explore the Chocolate Hills of Bohol, Mt. Pinatubo or caves in the Visayan region. If you are lucky, you might see a tarsier. It’s a tree-dwelling animal that looks like a mouse and a monkey combined. Water sports lovers can swim in shallow seas, go deep-sea diving or paddle on canoes to discover hidden coves. 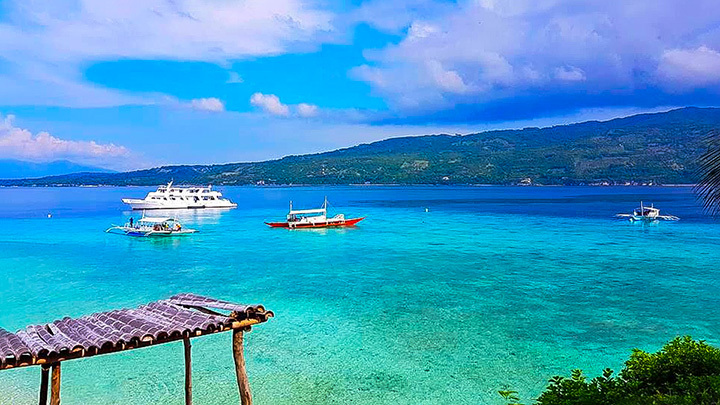 Whether you plan to travel to the Philippines to relax on the beaches, explore the lavish terrain or enjoy the inexpensive yet refined city life, your trip to these stunning islands is sure to be memorable. At Panda Travel ®, we are eager to help you discover the Philippines.